Today marks the start of Santa Barbara’s five day celebratory event known as Old Spanish Days fiesta. An advertisement from the El Paso Herald in 1919. 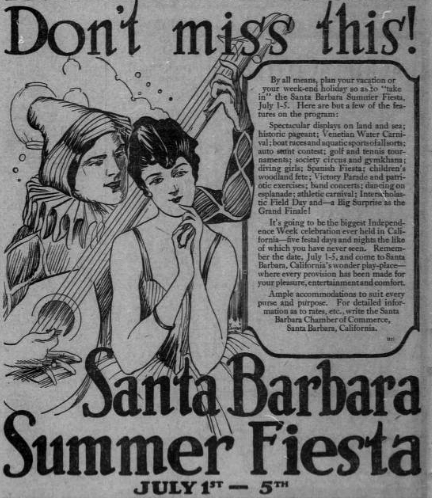 This entry was posted in Santa Barbara and tagged Fiesta, History, Old Spanish Days, Parties, Photos, Pics. Bookmark the permalink. great ad photo! we love fiesta 🙂 and vintage photos!